ImgRock.net is a site that pays you to upload and share your photos. It’s basically a site that lets you store your photos, but when you share them, and they get viewed you’ll earn cash. This isn’t going to be a huge income, but it’s a unique way to make some extra cash for your photos. The photos you upload don’t need to be professional photos, they could even be family photos that you want to share. Please understand that you’ll never make a large income with ImgRock, if you’re serious about making a full-time income online, check out My #1 Recommendation, it’s how I made over $13,000 online last month! In this ImgRock.net review, I’ll show you how it works, how much you get paid, and prove that it’s not a scam. 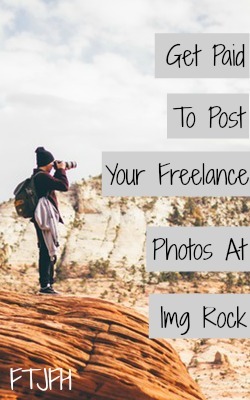 Here’s how you can get paid to upload and share photos with ImgRock. Once you join for free you can begin to upload your photos. You can upload any photos even NSFW. Once your photo is done uploading you’ll be given a link to your photo and all the photos you upload in the future. Once you upload your photo start to share your link anywhere you’d like. You can put it on your website/blog, social media, email, or anywhere else. When people click your link, they’ll be taken to the ImgRock website and be shown an ad. After viewing the ad they’ll be taken to the photo. Depending on your country you’ll get paid per view of your photo. For US and UK members you’ll get paid $8.50 per 1000 views. How Can They Pay You? I wanted to cover why ImgRock is able to pay you for views of your image. When someone visits your link to view the image they’ll be shown ads before viewing the photo. Basically you’re getting paid a portion of the advertising revenue. Honestly, I wouldn’t want to share photos with people and have tons of ads all around it, but you might have a different outlook on it. Just know that the photos you share will have ads and popups that might not fit into your business plan or be annoying to friends and family. The payment depends on your location. Imgrock is available in multiple countries. Instead of breaking them all down you can see a picture of the different rates below per 1000 views. Most of my readers come from the US so you’ll earn $8.50 per 1000 views. If you break that down you’re earning $.0085 for every view. Minimum cash out amount is $1 and payments are made via PayPal, Payza, and a few other options popular in other countries. To earn more you can join the ImgRock.net affiliate program. When your friends join through your link you’ll earn 5% of their earnings. On their website they say it’s a limited time program and that they can modify it at anytime. I’m not sure if they will take action on it, but you should know that it might be removed or changed. In this ImgRock.net review, I gave them a decent score and marked it legit. It looks like there’s payment proof across the internet and they actually pay, but this is not something I really recommend. If you are using it in your online business I don’t see how it would fit or make sense to bombard people with ads just to view your image. If your just sharing images with friends and family, I’m sure they’ll think it’s pretty annoying to see all the ads. It’s a site that’s completely legit, but I don’t see how it fits to any business model. ImgRock.net is a completely legit and scam free way to make money online sharing your photos. Like I mentioned above, I just don’t see the situation where it makes sense to use this site. But you might have a reason, so if you’d like to learn more or to join you can visit ImgRock.net. Don’t have a good reason to use ImgRock? 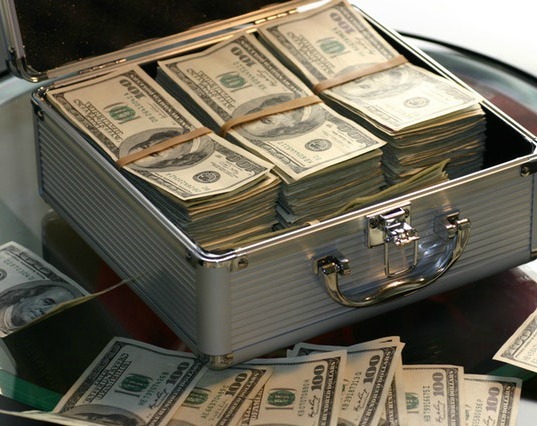 Here are some other great ways to earn an extra income online or see some other ways to make money with photos on my Free WAH Jobs Directory. Again, please understand that ImgRock is going to be a tiny income, if you’re serious about making a full-time income online, check out My #1 Recommendation, it’s how I made over $13,000 online last month! Do you think ImgRock is a scam? Let me hear your thoughts on this ImgRock.net Review in the comments below!